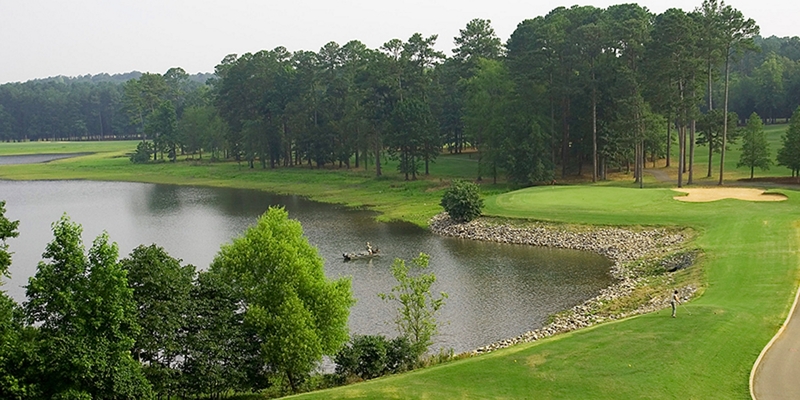 Nestled along the shores of Lake Thurmond is the Hickory Knob State Resort Park Golf Course. This huge reservoir lake serves as a defining feature of this challenging course, as the waters of Lake Thurmond are visible or come into play on every hole. In order to score at Hickory Knob, be prepared to hit a variety of shots. There is a tremendous assortment of slopes, contours, fairway widths, and bunkering, so bring your A game to this great golf tract. The surrounding park and amenities are a tremendous asset to this golf course. The staff at the park will assist you in arranging your golf package for the weekend or in planning golf outings and tournaments large and small. The only full-service resort in the S.C. State Park Service, Hickory Knob rests on rolling, wooded shoreline alongside 70,000-acre Strom Thurmond Reservoir on the Savannah River: South Carolina's "West Coast." The park's amenities also include a boat ramp, campgrounds and one of the state's most popular mountain biking trails. 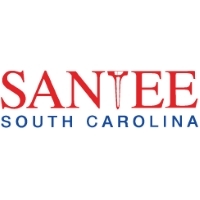 Serene and tucked away, location is another plus for this destination, with picturesque, historic small towns such as Abbeville and Greenwood nearby and Augusta and Anderson (and Clemson) just an easy drive away. Contact the park for rates during Masters week and other special event pricing and discounts. From McCormick: Take Hwy. 378 W. and drive 6 mi. Turn ri. onto Hwy 7. Drive 2 mi. and turn left at the park entrance. Continue for 3 mi to park lodge. Hickory Knob State Resort Park is more than just one of the best golf courses in South Carolina. It is also a fantastic venue for the special days in your life, including your wedding day! We have the eloquent venue, breathtaking scenery and hospitable service you need to remove the hassles and create memories. Wireless internet service is available now at Hickory Knob. Most of the campus including lodge rooms, cabins and meeting rooms can access the wi-fi service. Lodge Rooms : Seventy lodge/motel rooms sleep two to four people and include a color television, telephone, automatic coffee maker, iron/ironing board, hair dryer and two double beds. Six lodge/motel rooms sleep up to 2 people and include a color television, telephone, automatic coffee maker, iron/ironing board, hair dryer and 1 king bed. One Bedroom Cabin/Villa : Eighteen one-bedroom/one-bath duplex cabins accommodate up to four people. The duplex cabins, located 100 to 150 yards from the lake, include bath and bed linens, basic cooking and eating utensils, television, automatic coffee maker, air conditioning and heat, outside grill, picnic table and telephone. Two double beds are located in the bedroom. Reservations : To make a lodging reservation, call the park toll free at 1-800-491-1764 or reserve online at www.HickoryKnobResort.com. Group reservations can be made up to 15 months in advance, groups are considered to be 5 or more rooms. You can make group reservations by calling the park toll free at 1-800-491-1764. The Hickory Knob Restaurant, a full-service restaurant, is located at the southern end of the Lodge building. The restaurant serves buffet-style as well as menu orders three times a day, seven days a week and can seat up to 150 people in the main dining area. On-site and off-site catering services are also available. Please contact the park directly for more information. 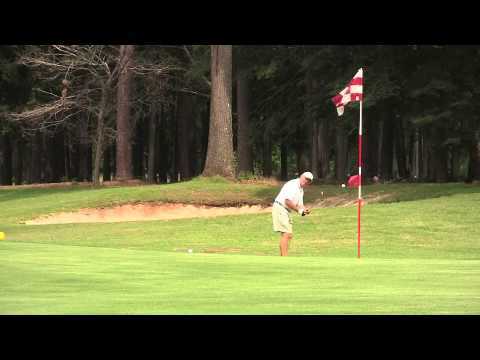 Watch the Hickory Knob Golf Course Video. This profile was last updated on 07/01/2018 and has been viewed 10,780 times.